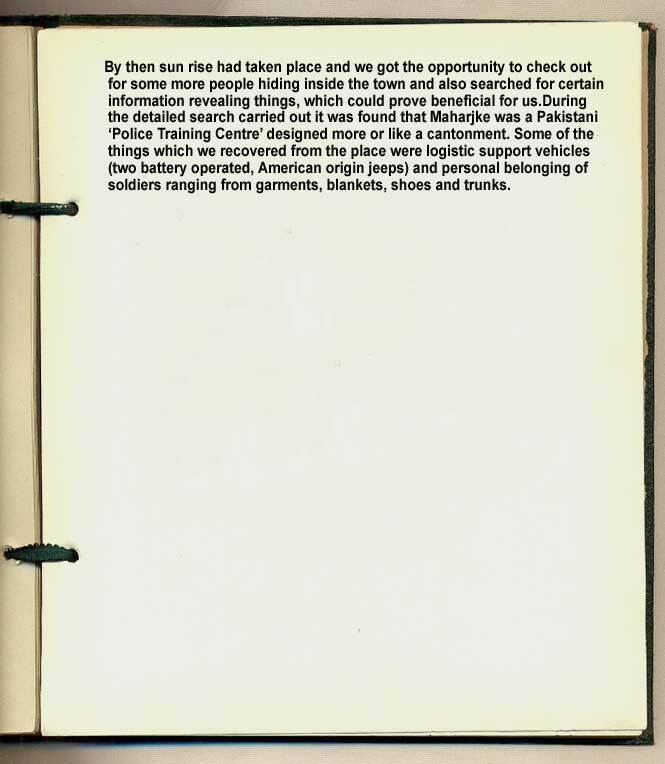 For the whole of 8th and 9th September we did patrolling in the nearby villages surrounding Maharjke, for identification of Pakistani soldiers and locating their position. 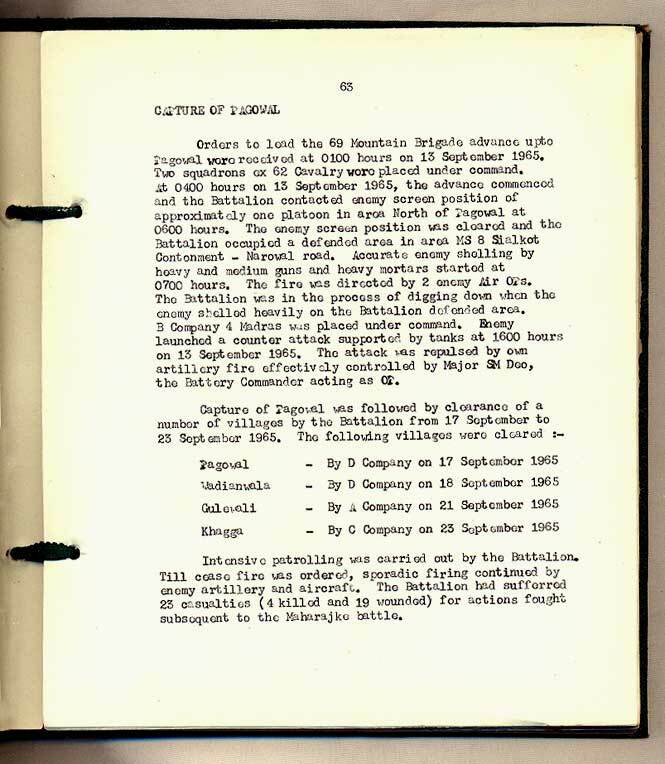 In some of the villages we identified considerable Pakistani militia concentrations, who were detailed to engage the inward moving Indian troops. In order to neutralize such villages, we used the tactics to block the exit route of the village and called for mortar fire, so that the shelling of area would cause the enemy concentration to break up and flee away before they could think of something else. 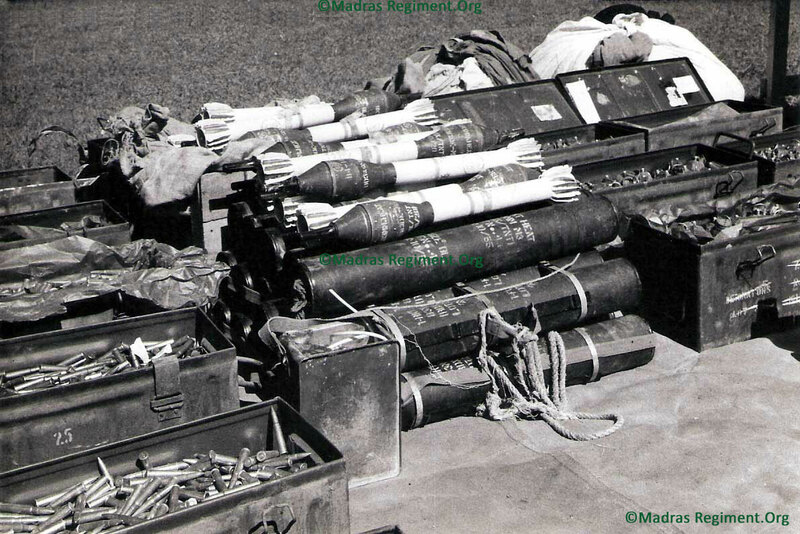 Likewise approximately 300 Pakistani villages were destroyed by the entire 6th mountain division put forward on the front of Sialkot sector. 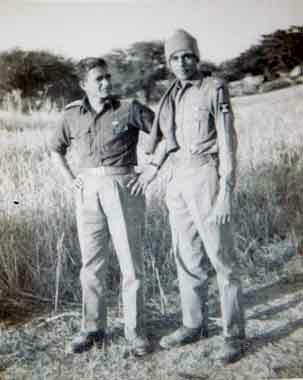 The entire ‘Sakargarh’ district was overrun by the 69th Infantry Brigade, in which Maharjke was situated and 20 to 30 villages were secured in addition. The artillery shelling done in response of Pakistani howitzer fire proved quite effective. 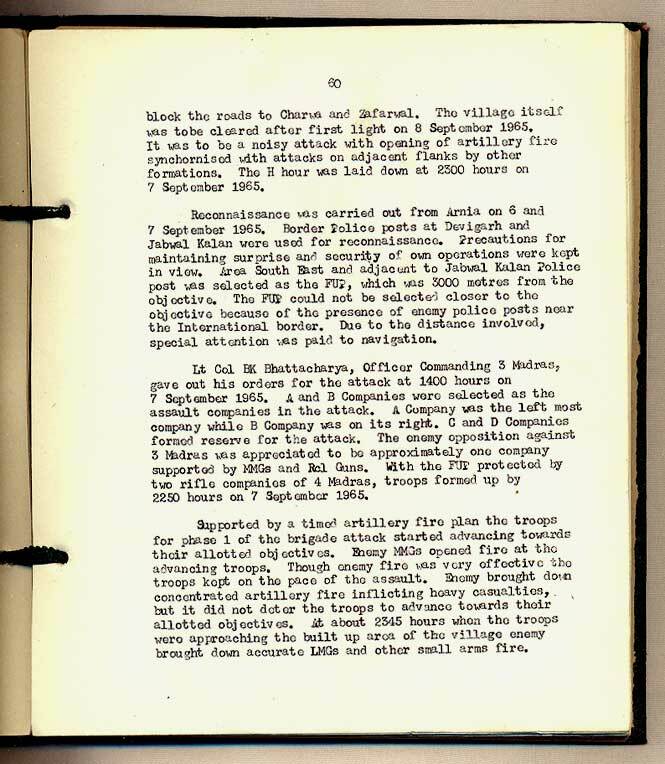 On 10th September we had achieved a firm control over our first objective, so the senior officials of the brigade were occupied in further planning of the much needed things with their ‘Army Supply Core’ counterparts as we had made a vital break through enemy lines and were not in a mood to retreat under any circumstances. 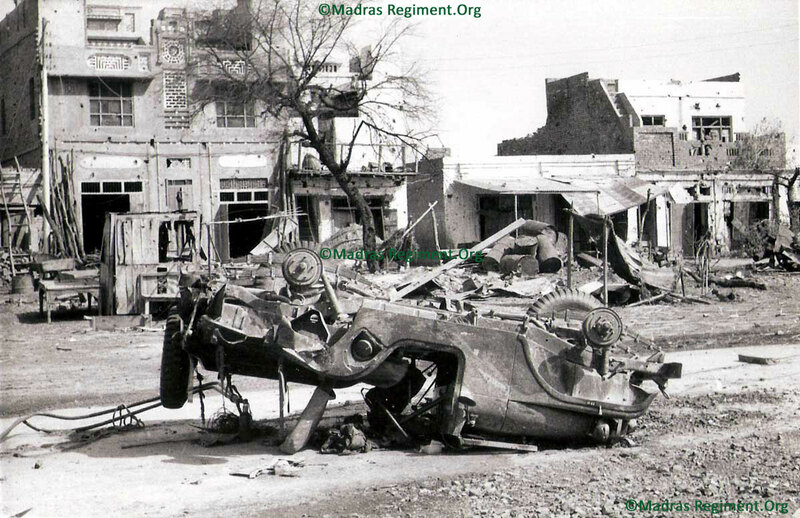 While the people from medical core were engaged in treating the wounded soldiers we found that most of the casualties that we received were mainly due to the shelling which had taken place, when we were inching our way towards Maharjke through unprotected farms and because of the machine gun fire. I found out that my batman, who was crawling just next to me, was killed by one of the bullet shots fired from those guns. But he was not the only one who faced abrupt death, there were many more like him who died before we were able to silence those guns. The artillery shelling done in response of Pakistani howitzer fire proved quite effective. Since the fear of a brigade size attack was more than enough to make the entire town vacant, well before we reached at its gates. In the late evening when I was on patrolling duty we heard an echoing sound of armored columns approaching Maharjke. I thought that these must be the Pakistani tanks since they were coming from deep inside Pakistan. Nor had we been informed about any such tank movement by our commanders neither we knew about any Indian armored formation closer to us. 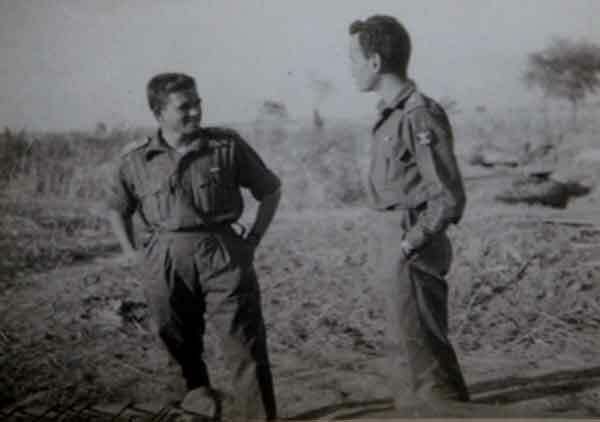 Keeping an eye on the movement of those armored vehicles I contacted Captain Oberoi who in turn contacted Lieutenant Colonel Bhattacharya and reported the matter to him. When he learnt about the fact he too was astonished and quickly contacted his superiors. 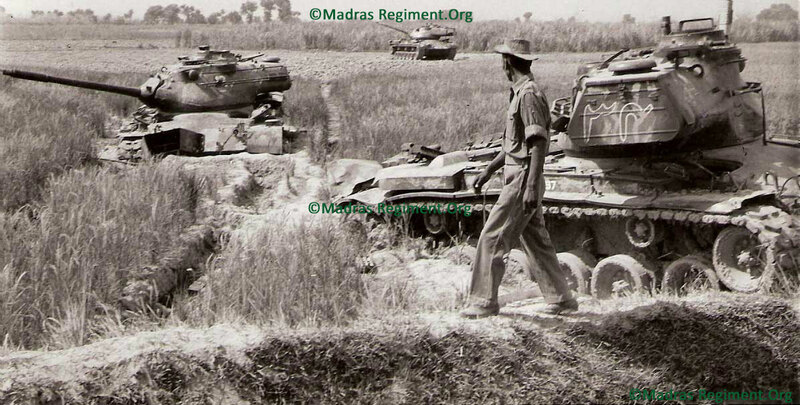 It was only then we came to know that these tanks belonged to the Indian Armored Corps and were returning from ‘Phillora’. Such was then the tensed atmosphere in war, which at times becomes more or less chaotic. While a person is in the battle ground he has to depend more on his senses than anything else because at last it is the soldier himself who has to take vital decisions keeping in mind a lot many things including the responsibility of life of men, under his command. As expected our next target was now to capture Phillora. The brigade commander in accordance with the three battalion commanders had laid down the immediate plan of action and the same night we started our travel towards Phillora. When the tank columns reached closer, I along with my patrol party went ahead and interrupted them. Learning the fact that we were Indian soldiers, from one of the tanks a Sikh commander came out and let us know what had happened in Phillora. He told that Pakistanis used ‘Blitzkrieg’ tactics to counter our armored regiments. Blitzkrieg was an effective tactics used in world war-2 by the Germans for routing the opponent forces in which a combination of air attack, armored support and artillery cover is provided, resulting in a strong blow. This tactics can be countered only when the strength of infantry is quite large. The Indian top brass however depended on the much older ideology of wave attacks, in which wave after wave of either infantry or armored regiments would be thrown on the enemy. The big disadvantage of this way of fighting is that there is a possibility of lack of proper co-ordination and heavy casualty. After we escorted those armored columns to the brigade headquarter we came to know about one more news which was a bad one. 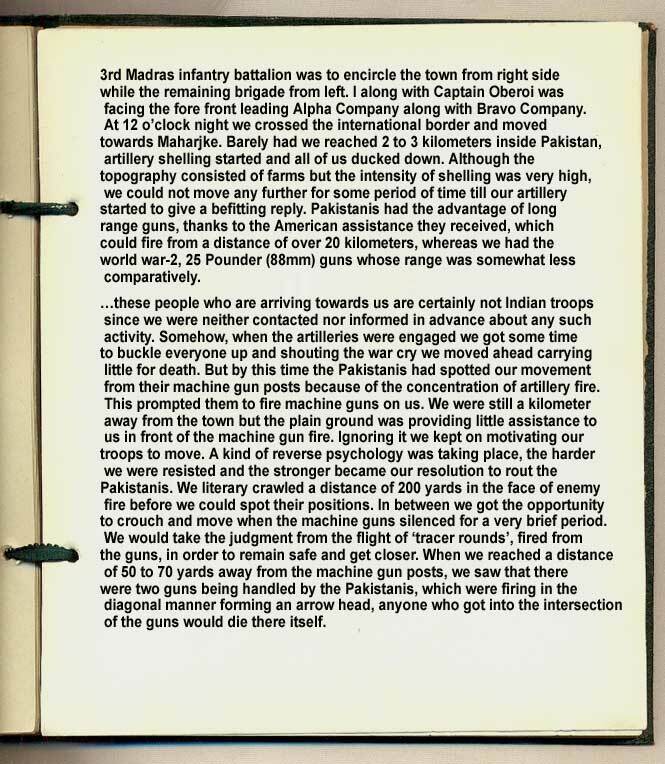 In the link-up with our brigade they informed that in the early hours of war the armored regiments were pushed in to halt the Pakistani advance, well before the mountain divisions had arrived on the Punjab front. At Phillora the Pakistanis, owing to air support destroyed an entire column of fourteen tanks, including that of column’s commander. As we started for Phillora, we were accompanied by a tank regiment, consisting mostly of Sherman and Stuart tanks, to provide armored support. All of us got mounted on the tanks and began to mentally prepare for another but much awaited encounter with the enemy. Phillora was approximately 10 kilometers away from Maharjke. Since our battalion had already seen action before, so most of the people were keeping a calm state of mind which was much needed at that moment. Many of the soldiers though appeared to be relaxed but somewhere in the back of their mind had an unfulfilled desire of giving the Pakistanis their piece of mind. 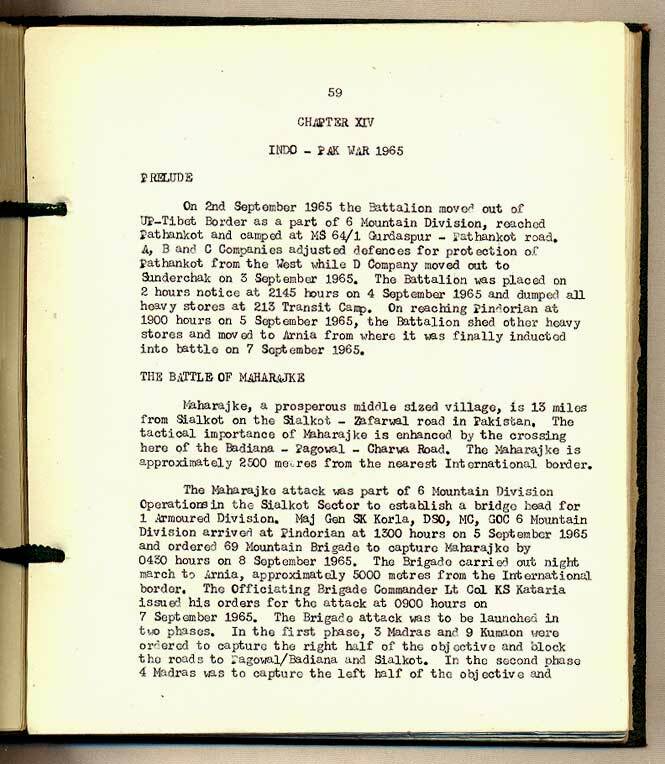 On 11th September, in the early day hours we reached outskirts of Phillora. 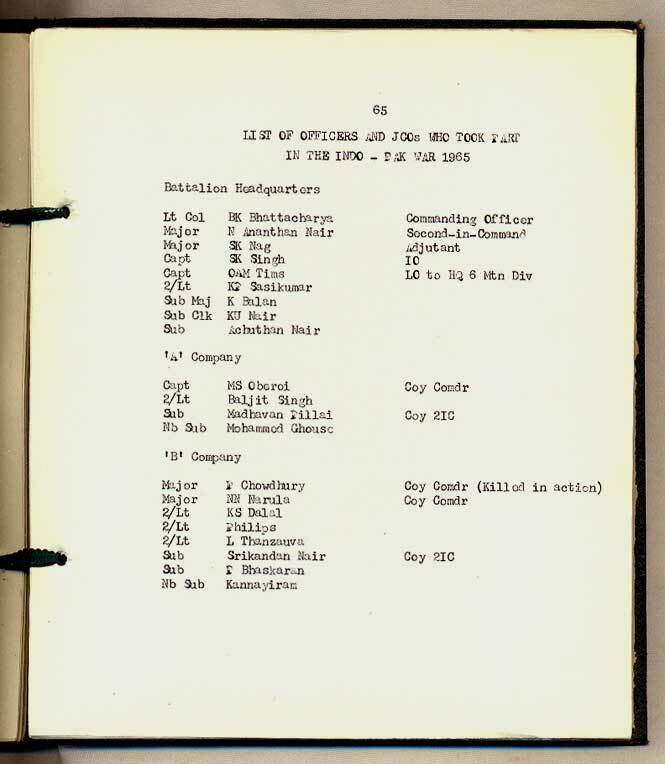 But perhaps the Pakistani Air Observation Post (AOP) had identified our movement and we were attacked with several rounds of artillery fire. The moment the fire started we jumped from the tanks and quickly took defensive positions nearby. 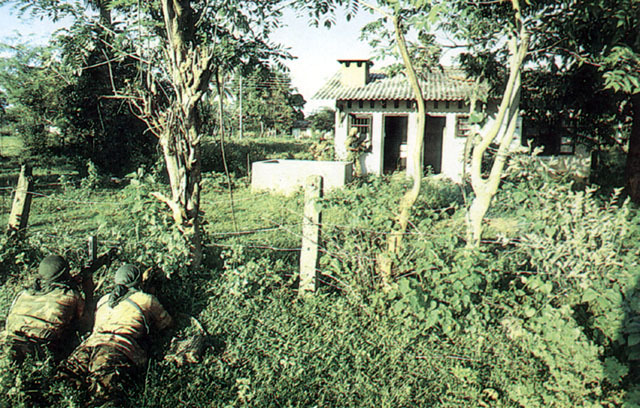 The tanks had to be camouflaged in the fields to prevent them from getting pin-pointed by the Pakistani Air Observation Post. After few hours, when the shelling stopped I along with 2nd Lieutenant Dalal were send by our respective company commanders for forward patrolling in the enemy area for identification of their location, manual and material strength. Slowly we creped inside the town with our columns from different sides only to find out that it had been already vacated. Probably the initial attack made by the Indian armored regiments was fierce enough to make Pakistanis run away. We came across many name plates outside the houses which indicated that Phillora was the home of many Pakistani army personals. After the town was cleared by us we established a few more defensive positions just outside the town, facing Pakistan so that any counter attack made by the Pakistani militia could be handled appropriately. Many of the soldiers though appeared to be relaxed but somewhere in the back of their mind had an unfulfilled desire of giving the Pakistanis their piece of mind. 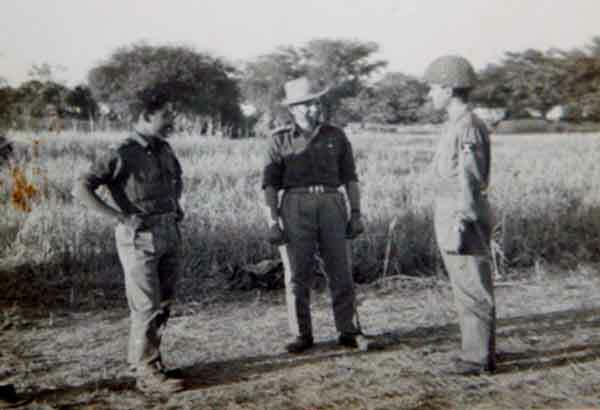 For consoling such enthusiastic lads of mother India, we carried out aggressive patrolling in the villages surrounding Phillora, since from our experience at Maharjke we had become aware of the Pakistani tactics of guerilla warfare. The Pakistani militia was abandoning big towns like Phillora and took refuge in the close by villages for re-grouping themselves. We adopted the usual method of clearing such areas. A group of soldiers would attract the enemy fire from one side, all the exit routes were blocked and two teams consisting of 3 to 4 soldiers would lit up the village from behind the enemy or mortar fire was called upon. On one such occasion I led a column of soldiers to neutralize a village, which was reported to be containing Pakistani militia. The location of that village was such that it was not much easy to get a clear idea of the enemy hide out. In order to get a better view of the things I climbed up a tree which was over-looking the village. The moment I reached a sufficient height, from which the whole village could be seen, a salvo of bullets were fired at the tree. Although I had taken a risk but it did not go in vain. I was able to locate the enemy hide out and by the fire power, which they had advertised, an idea of their strength was obtained. Guiding the soldiers to block the exit routes I called for retaliatory mortar fire and within no time the enemy concentration had been neutralized. But as it happens on most occasions that for achieving a goal you have to give something. Like Maharjke in Phillora too we had casualties in the form of loss of life. After reaching Phillora we had secured the area around the town. But this fact in addition of being known to our superior officials was also known to Pakistanis, who taking advantage of the concentration of troops use to rain artillery fire on the town, aiming at us. 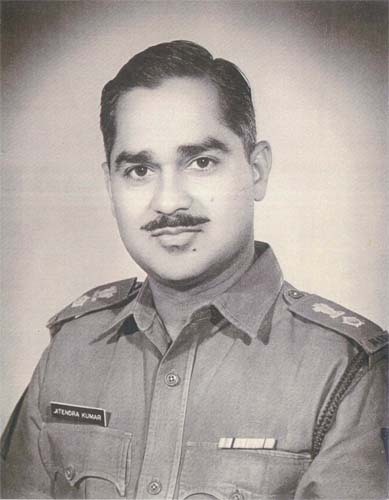 In one such fire which took place in the morning hours killed Major Chaudhary, the commander of Bravo Company. He had just come out of his position for having a view of the things when Pakistani artillery fire started and one of the shells exploded just next to him, cutting him down. Later to fill the void created due to his death, Major Nerula joined as commanding officer of Bravo Company in the midst of the war. This was just an example of the ‘anything possible’ situation, which prevails throughout the war. There were two more instances when we escaped narrowly. 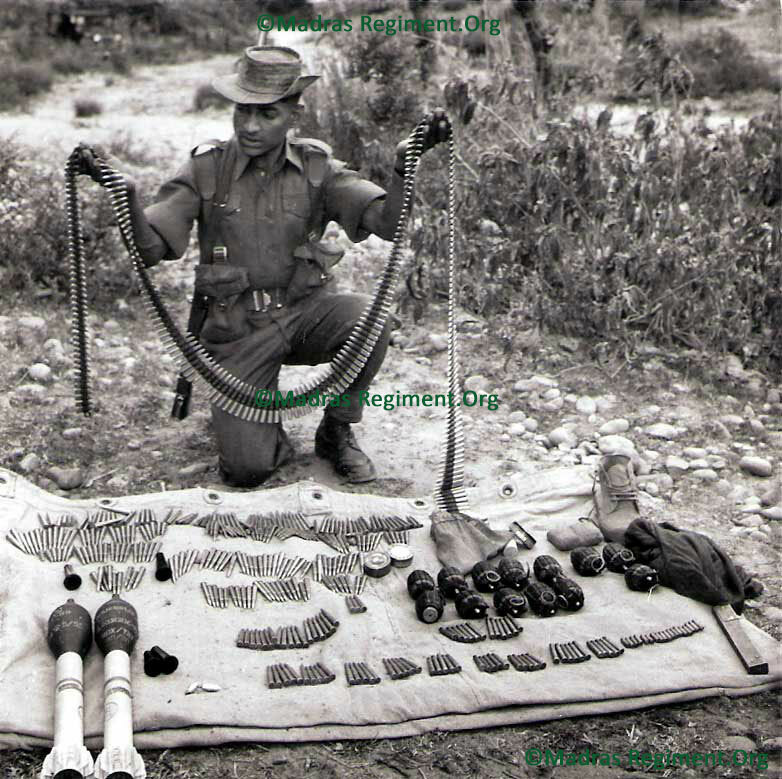 On one of the occasions of clearing up the Pakistani militia concentration in the surrounding villages, I formed up a team of one JCO and five riflemen including one NCO for clearing a nearby village. 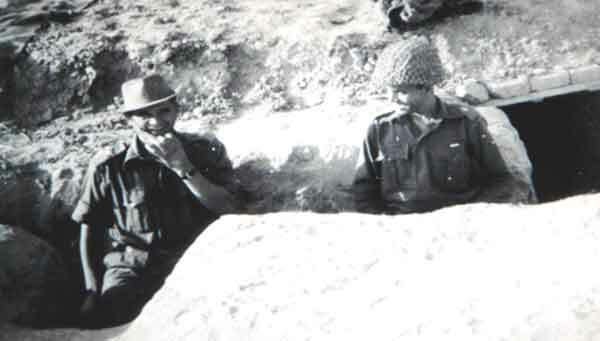 The soldiers who by now had neutralized many such re-grouping camps were aware of the tactics to be used. Though the JCO seemed to be somewhat nervous but they assured me of carrying out the task with success. 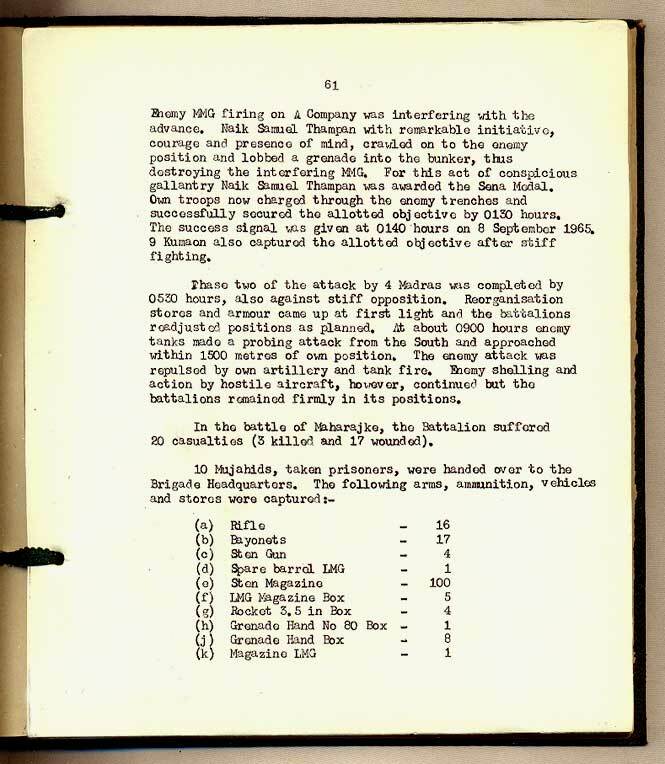 But somehow when they reached near the village they were unable to maintain the secrecy of their presence and invited enemy fire upon themselves in which the NCO was injured. When they fell back to the base camp only then we came to know what went wrong. The nervous JCO was unable to hold on his nerves and committed a mistake. He was immediately released from his duty and was sent back to the headquarter. This was the second incident of the kind in which the soldiers were not able to hold their nerves. Probably this happened since there was no officer in-charge of the team or perhaps the JCO and neither the soldiers under him were having the required confidence upon themselves to take ‘on the spot decisions’. One more factor which was indirectly responsible for this tragedy was the system to be followed. 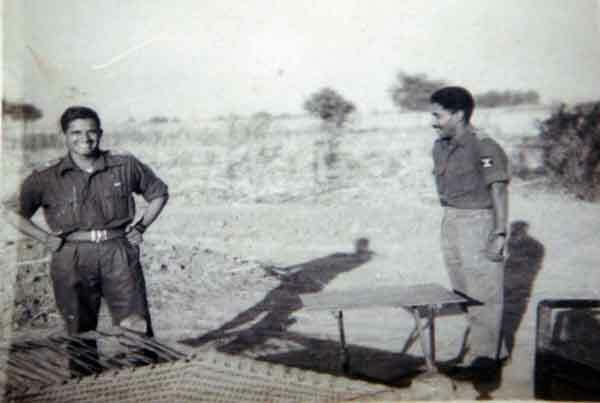 Since I and 2nd Lieutenant Dalal were mostly given the tasks of patrolling and clearing enemy concentration areas, as a result no other officer was able to get the opportunity of knowing about the things to be taken care off in such operations. Though we shared inputs and experiences with other officers of the Companies but there still remains a difference between listening and performing. Since I had undertaken patrolling duties continuously for frequent number of times and 2nd Lieutenant Dalal was deployed elsewhere, so there was no other officer available to accompany that fateful team. 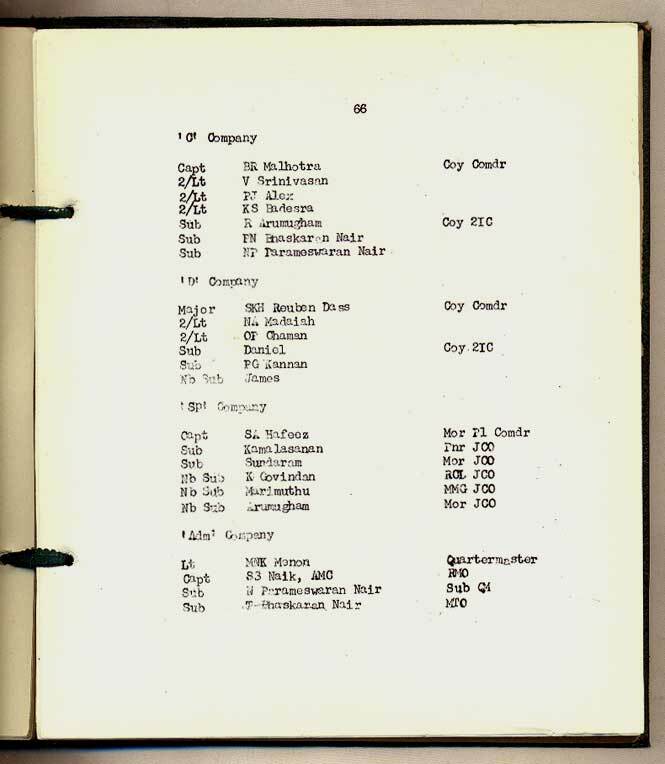 Moreover the order had been passed on from the battalion headquarter to Alpha Company, of which I was the second-in-command and for engaging officers from other companies needed the consent of respective company commanders, which at that time was although possible but the response could be predicted well before, from the kind of attitude of the Company commander. This system was indeed an evil during war days which still persists till date. As a result looking at the situation and after consulting with my Company commander, Captain Oberoi, I had no other option left. 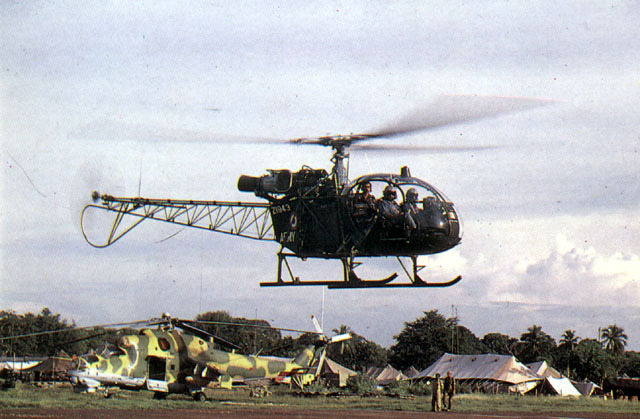 But the JCO had to be made the team leader and coincidently had earlier taken part in such clearing operations. Probably the habit of working under guidance or the assumed burden of responsibility and his over-consciousness might have made him to lose his nerve. The incident of loosing ones nerve is not very rare. On the contrary it is more or less very common. It can happen with any one, not necessarily it happens with lower cadre soldiers but it does happen with officers. 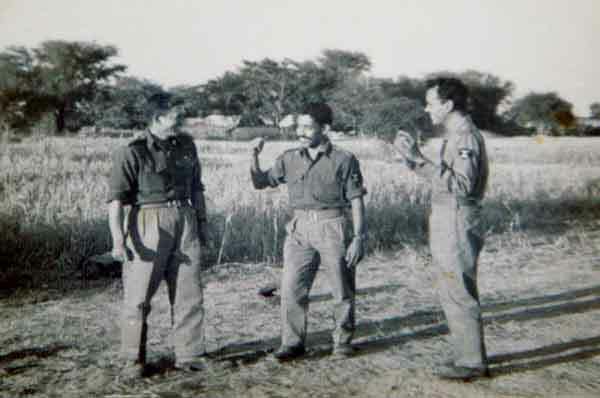 One such incident happened when I, 2nd Lieutenant Jacob, 2nd Lieutenant Srinivas, 2nd Lieutenant Bhadesra and 2nd Lieutenant Malik were given the task of securing a particular stretch of railway line which connected Sialkot with Lahore. We went at the location which was informed to us with a group of 20 soldiers. We established defensive positions on both sides of the railway track. As per the information that we had received, Pakistanis used this rail route for reinforcing their small pockets which had been broken after Indian advance. On 28th September 1965 the news of declaration of ceasefire reached us. For many of the soldiers and officers it was out of the blue. By the time we had secured the area it was late evening. There was no sign of any Pakistani movement but our source of information was coincident enough about the data that was passed on to us. We had to wait for some more time when finally we heard the sound made by the boots of soldiers while walking along the railway track. Since we had been over there for quite a long duration and the visibility had diminished due to the darkness, so it took some more time for us to roughly get an idea of the numerical strength of the enemy. We held on to our rifles and had taken firing positions. The plot was perfect for ambushing Pakistanis but the only fact which could turn everything was the number of men on each side. We totaled 25 men, five officers and twenty riflemen. In order to over-power the enemy our strength should have been higher than what enemy had. At that moment this thought perhaps ran down the minds of most of us. I was mentally prepared to take on the enemy, since the intensive patrolling done while clearing villages had given me a lot of expertise in handling Pakistanis. But our group also consisted of few nervous chaps and a fresher. None of the 2nd Lieutenants with me at that moment had participated in any such task before. On the other hand the soldiers allotted to each officer were four. Hence any hastily taken decision could prove fatal if went wrong. After sometime when the Pakistanis approached a distance of 100 to 150 meters, we identified them and were just trying to get an approximate idea of their strength when one of the 2nd Lieutenants opened fire, without letting any one of us know and along with him his four soldiers too fired, which alerted the enemy. Within no time the entire scene got changed. Opening of fire before Pakistanis came close enough to be surprised, revealed our positions to them. The atmosphere suddenly became confusing. Now the Pakistanis started firing on us and the situation was going out of control. Since I was leading the group it was my responsibility to tackle the things. In utter chaos many of the men and few of my fellow officers fell back. Now we were left depleted in strength, totaling 5 to 6 men. The advantage we had at that moment was the idea of location, we knew the area around us but the Pakistanis being cut-off from that area had little knowledge of the changes around them. I quickly dispersed my men to project a larger coverage area. I send three men to my right side and other two to the left, who were manning an LMG (Light Machine Gun). Like this we projected a frontal coverage area of 18 to 20 meters and opened a full force counter fire. It worked and we saw the Pakistanis retreating back. We continued to fire till the Pakistanis were out of sight along with their show-off. This was the second incident of the kind in which the soldiers were not able to hold their nerves. But this time they were accompanied by the officers who were leading them. Had the Pakistanis been more in numbers and called for an artillery fire all the remaining of us would have been killed. But it is said that when a person has removed the fear of death or even the fear itself from his mind, then there is no scope of any kind of fear in his life. 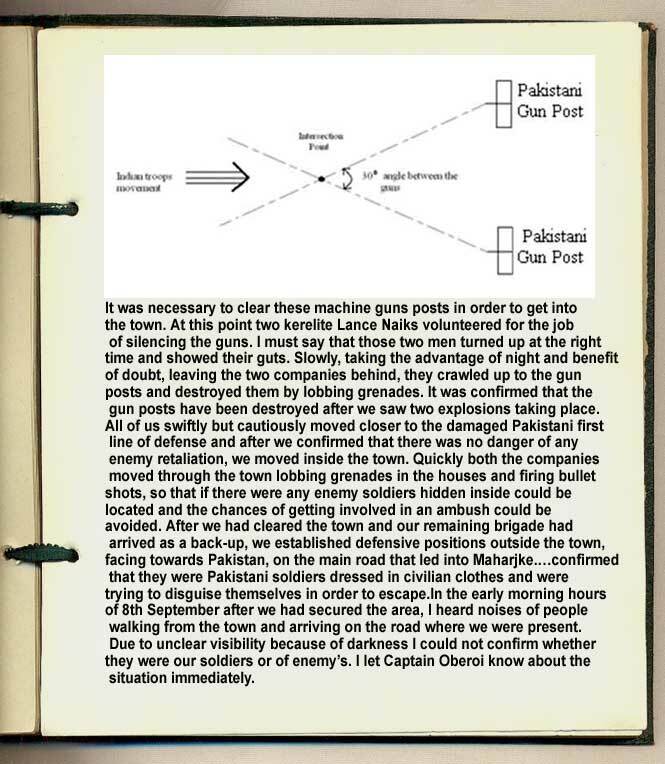 After almost 10 days of stay in the area around Phillora and securing several vital enemy installations, we came to know that the 26th Division which had been stationed at Jammu, had positioned themselves in such a way that a siege could be laid on Sialkot. 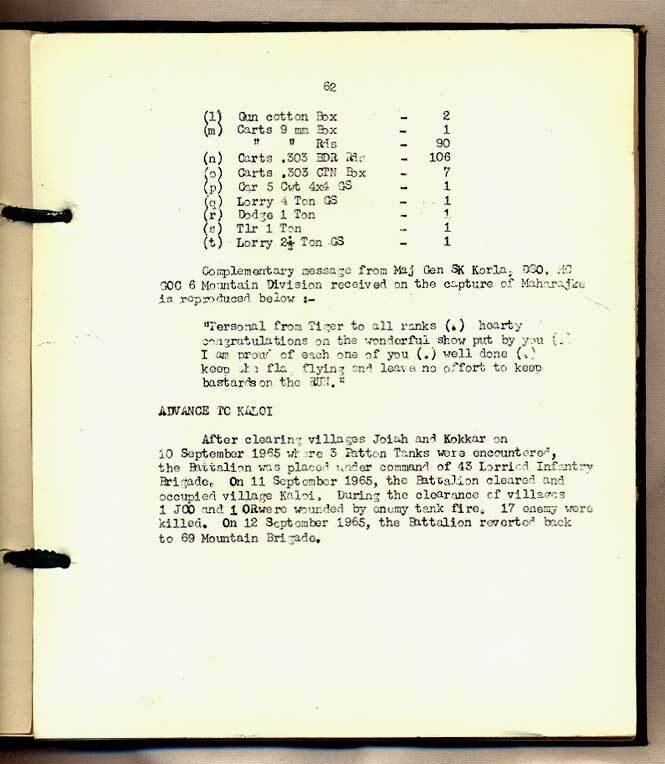 But for 69th brigade it appeared as if the war was over, since we hadn’t received any further orders except of carrying out long patrols and consolidating our positions. On one occasion I had undertaken a patrolling duty to identify any enemy movement in a specified village that lay closer to Sialkot. With a five men team including myself travelled close to the given location. Upon reaching there we found that a Gorkha battalion was deployed facing Sialkot, for blocking any enemy movement in or out of the town. After talking to them we learnt that the entire town had been vacated by the Pakistanis fearing a three sided Indian attack. In order to mark the presence to Indian troops around Sialkot and as a memory of 1965, I along with my mean pulled out a milestone, from the main road that led into Sialkot, which embarked in Urdu stating “Sialkot 1 Mile”. I feel proud to say that the milestone which was brought by me from Sialkot still remains, as a prized memento of Indian Army’s success in the 1965 operation, in the battalion headquarter of 3rd Madras battalion. On 28th September 1965 the news of declaration of ceasefire reached us. For many of the soldiers and officers it was out of the blue. Also at that time there was civilian outrage against the ceasefire. 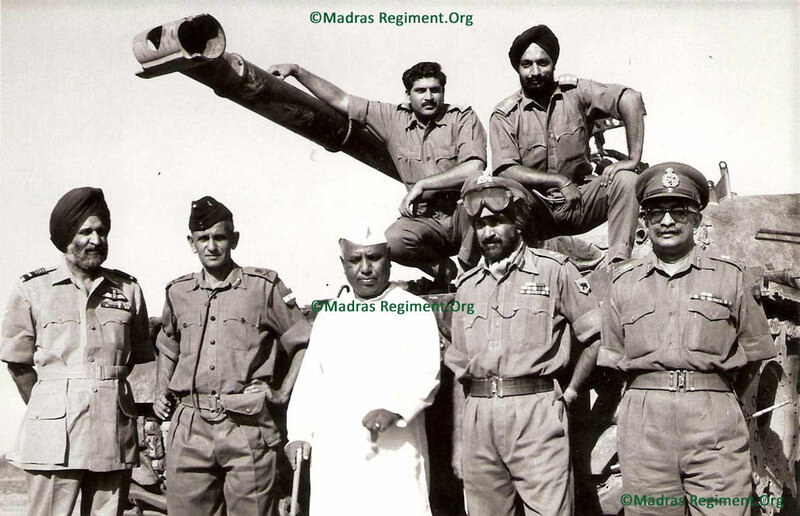 By presenting articles, through www.indiandefencereview.com, related to the operations carried out by the Indian Army, on the western front during 1965 war, I intend not to question anybody’s contribution who had participated in that war. 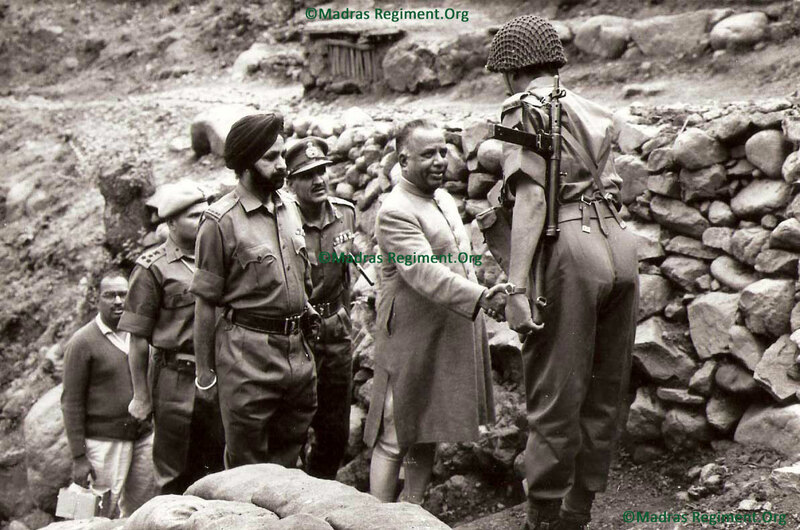 But I wish to tell to our upcoming generations about the significance of this war, which was termed as the “War of Young Officers” as well as ‘The bloodiest war fought by the Indian army ever’, not only owing to the high number of casualties inflicted on the part of the enemy but due to the quality of leadership shown by young recruits irrespective of the kind of commission which was offered to them. – Colonel Baljit Singh. 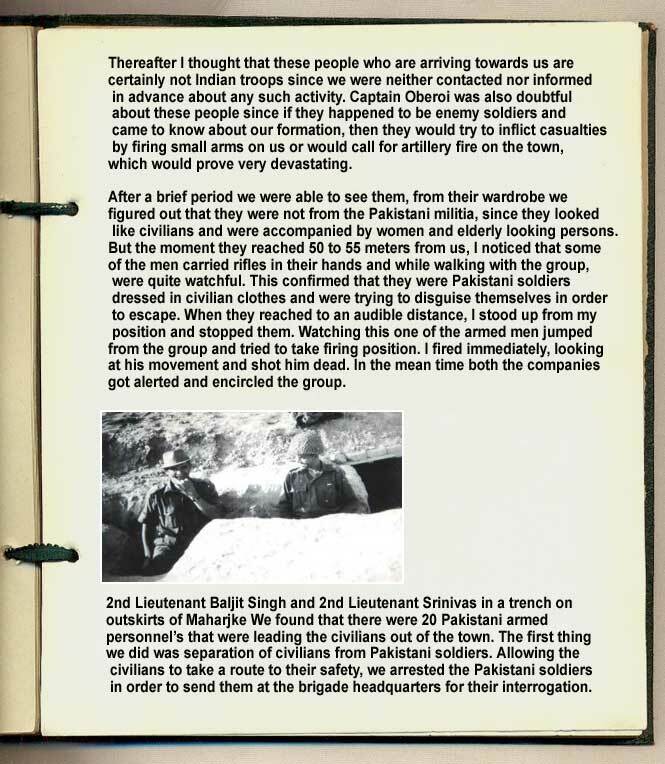 The incidents narrated ahead are based on the experience of 2nd Lieutenant Baljit Singh, 3rd Madras Infantry Battalion, 69th Infantry Brigade, who had participated in the legendary 1965 Indo-Pak war. 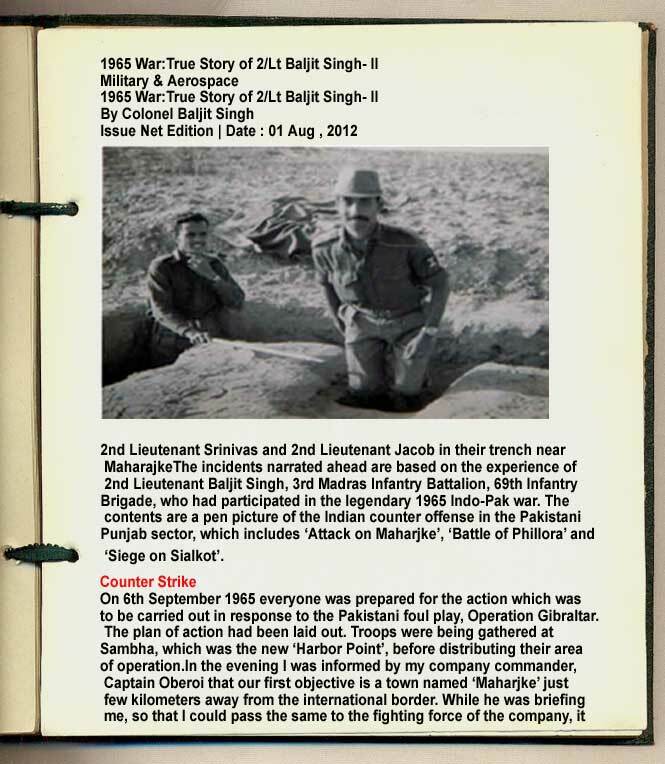 The contents are a pen picture of the Indian counter offensive in the Pakistani Punjab sector, which includes ‘Attack on Maharjke’, ‘Battle of Phillora’ and ‘Siege on Sialkot’. 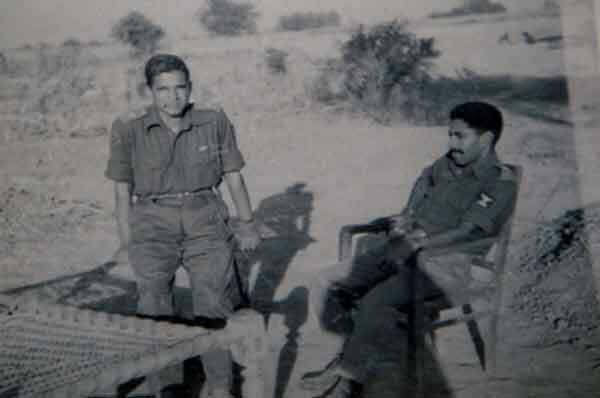 It was somewhere in the second week of April 1965 when 69th infantry brigade, in which I was attached, received the news of Pakistani misadventure in the Kutch sector of Gujarat state. The senior officials of the brigade were caught with the trauma of an all out war with Pakistan. Every chap was excited and was bubbling with energy as well as fuming with some amount of anger, over such treacherous act done by Pakistanis. In the upcoming days that followed their fear become a reality, when the whole of the mountain division force was put on an alert. 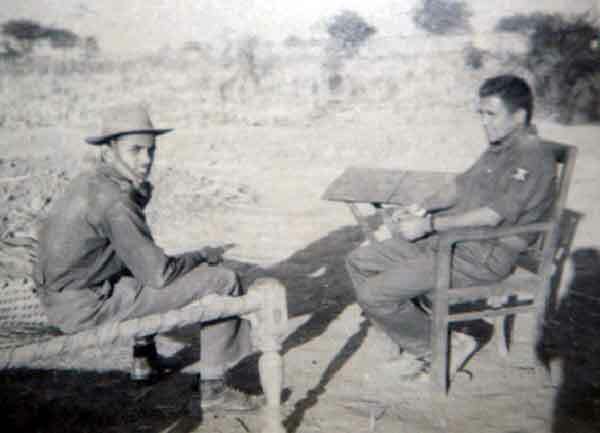 I was undergoing the ‘Weapon Course’ at Mhow, Madhya Pradesh, when a short notice was received by me to join back with my battalion, which was at Dharchula, Uttaranchal, close to Indo-China border. 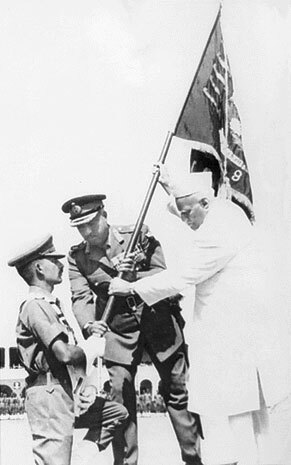 After the war with China in 1962 a one lakh force was raised under the banner of ‘Mountain Divisions’, which totaled ten in number. 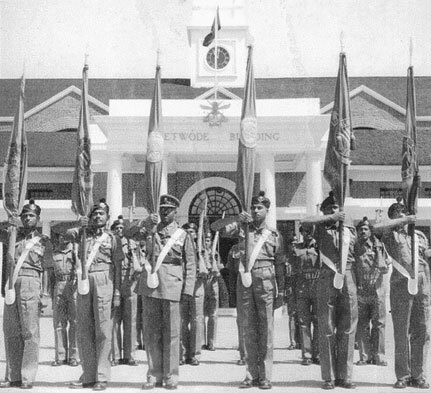 This force mostly consisted of the officers recruited on a large scale from the ‘Officers Training Centers’(OTC), established all over the country after the Chinese invasion, since during those days there happened to be an acute shortage of officers. Within a few days I reported at my battalion headquarters of 3rd Madras, which along with 9th Kumon and 6th J&K Rifles constituted the 69th infantry brigade. Dharchula is a valley surrounded by peaks ranging from 10000 to 14000 feet. The route towards Dharchula had to be traversed through Bariely, Pilibhit and Pithoragarh. The medium of transportation were mini-buses, since the route was only jeepable at that time. There was rail route available but only till Tanakpur which was the ‘rail head’. 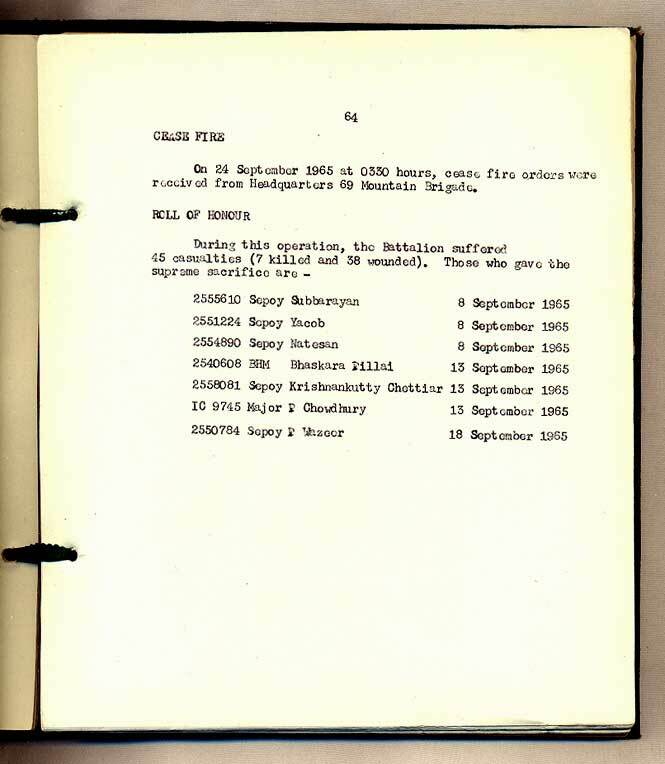 Upon my arrival it was learnt that the brigade was on a notice of 4 hours for its move. Every chap was excited and was bubbling with energy as well as fuming with some amount of anger, over such treacherous act done by Pakistanis. Most of us were consoling ourselves that when we were ready for a fight with China, the Chinese did not show up but now we will surely not leave the Pakistanis without having faced our wrath. 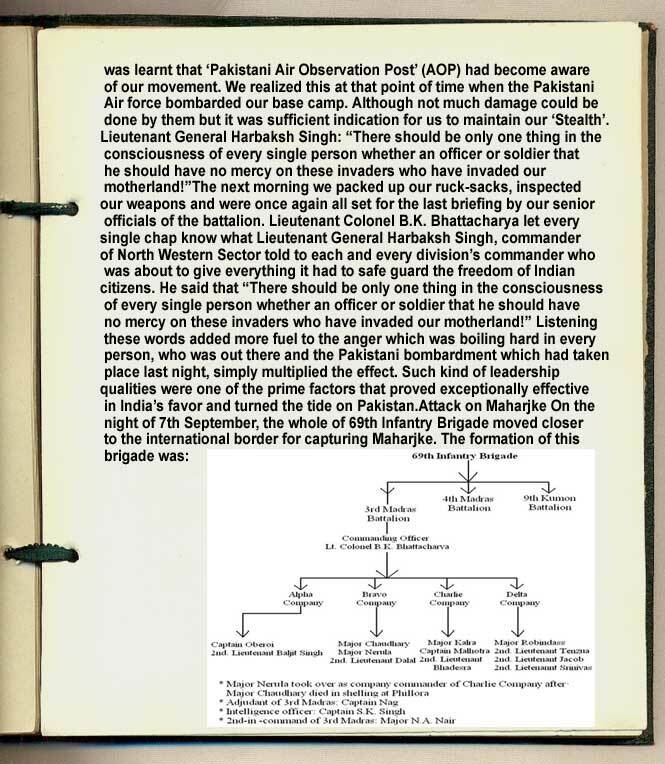 …as it is said no one can predict future, the moment we reached Pathankot and our respective battalion and company commanders had started to work on the strategy for countering Pakistani threat in Punjab sector, the news of ceasefire arrived, which was sponsored by the then superpowers. 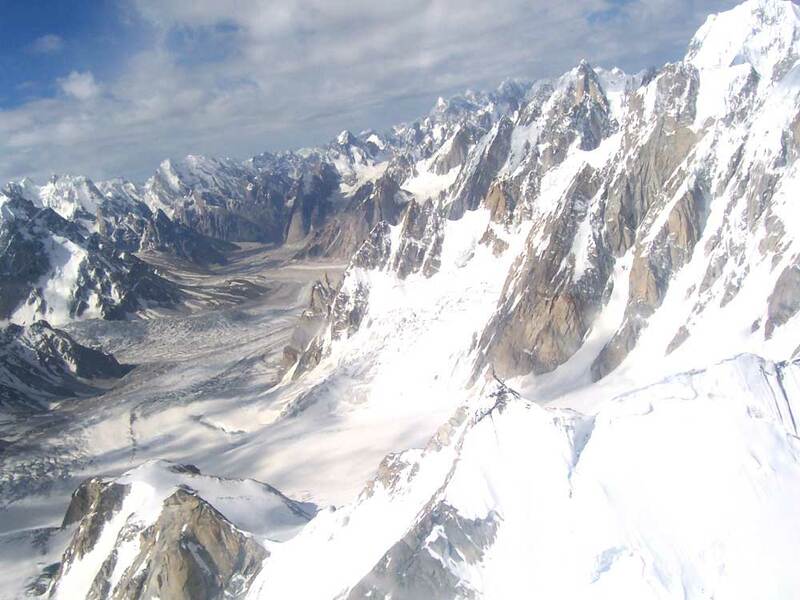 In the wake of another Chinese misadventure the mountain divisions used to hold different exercises for getting aware of the topography and acclimatizing with the high altitude conditions, on the Indo-China border. 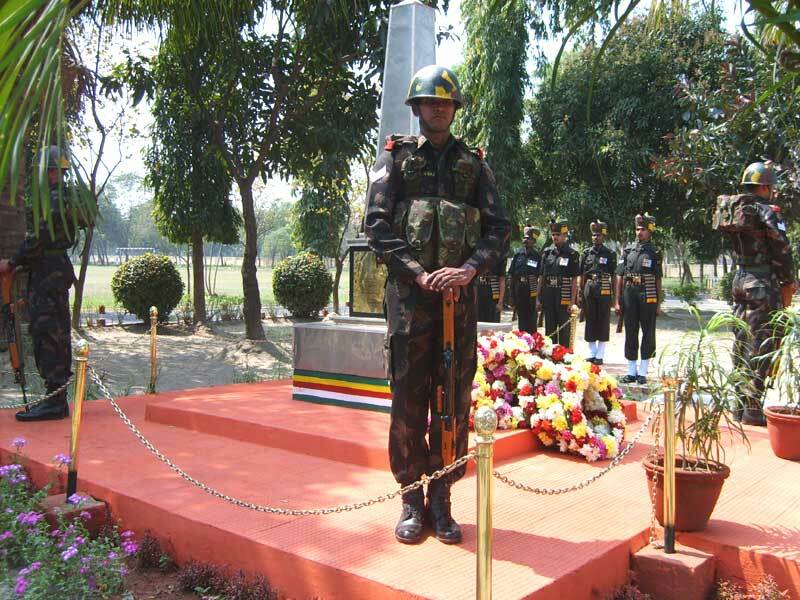 Our brigade used to hold an annual exercise in which we had to march our way through 300 kilometers from Dharchula to Haldwani. Such an exercise used to happen in the ascending hierarchy, that is to say first a section level exercise used to take place, then a platoon size, then a company size and finally the battalion size drill was performed. 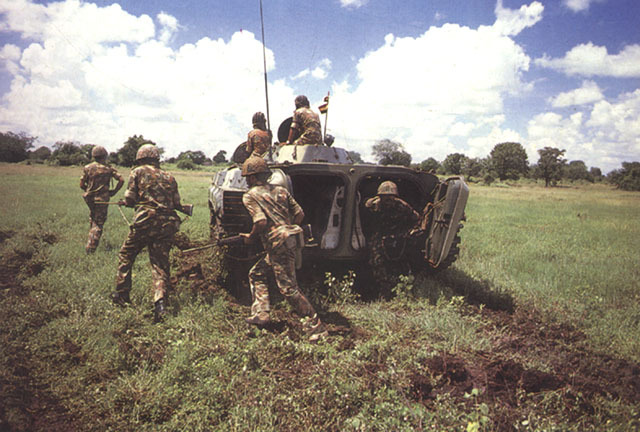 The amount of struggle faced by us while trekking the area during patrolling or when such exercises were carried out helped in making most of us a true fighting machine. When the final movement order was received the brigade started to move out of Dharchula towards the new brigade headquarters at Pathankot, in Punjab. 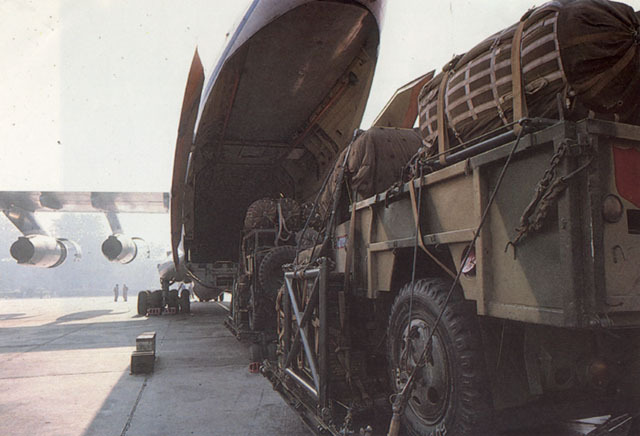 Since there were not many military transport vehicles available so most of the mobility was made possible by hiring civilian trucks and buses. The path which we took to reach Pathankot in the shortest time possible was through Pithoragarh, Tanakpur, Katgodam, Bariely, Muradabad, Meerut, Saharanpur and Ambala. It took us seven days to reach our destination but everyone was quite happy to see the kind of civilian support that we received on our way. All the people gathered at every stoppage we took, for handing over eatables. Many civilians upon watching us used to start shouting motivational slogans like ‘Victory to Mother India’, ‘Jai Hind’ and what not. Such an atmosphere made us determined about the task which we had to perform. But as it is said no one can predict future, the moment we reached Pathankot and our respective battalion and company commanders had started to work on the strategy for countering Pakistani threat in Punjab sector, the news of ceasefire arrived, which was sponsored by the then superpowers. Few of us were relieved of the mental tension developed before a fight but still there were many who were disappointed for not being able to see action and take revenge of the breach of faith that Pakistan had done. In the mean time when ceasefire was officially declared, we were able to make up for the lost time. Not only that but we were also provided training on tanks because in case of emergency one has to go even beyond his call of duty. I along with few other officers was explained in detail many aspects of an armored vehicle and we were given an idea about the fire control system of a tank. The tanks on which we were trained consisted mostly of world war-2 tanks like the ‘Sherman’ and ‘Stuart ‘light tanks. 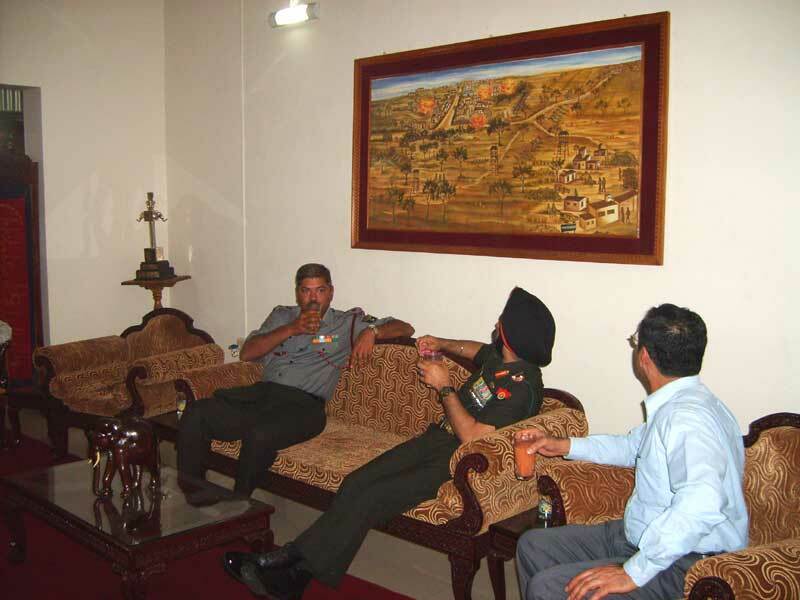 Staying for about a month at Pathankot the brigade was finally moved back to Dharchula. Few of the officers even went on a short leave straight from Pathankot, when the order to pull back was received. After we fell back to Dharchula from Pathankot and assumed our duties, the whole of July and first week of August had passed away. Many of us continued to think over and over about the skirmish which had taken place with Pakistan. There were a few who thought that it was better to sought out matters with Pakistan for once and for all rather than getting involved in the proxy war game that Pakistan was playing with us. May be the almighty listened to our anguish and had blessed us when in the last week of August, we received a message regarding the re-mobilization of the entire brigade once again towards Punjab, to counter the threat of growing Pakistani infiltration near ‘Akhnoor’. It appeared as if we were being refueled by the enthusiasm to fight, after hearing the news. …the need of better transport became a hurdle since there were hardly any heavy transport vehicles available during those days. But somehow we were able to reach Ambala as per schedule. Within couple of hours it was officially declared by our senior officers about the re-mobilization. The same events happened once again but this time instead of Pathankot the new destination was ‘Sambha’, in J&K. 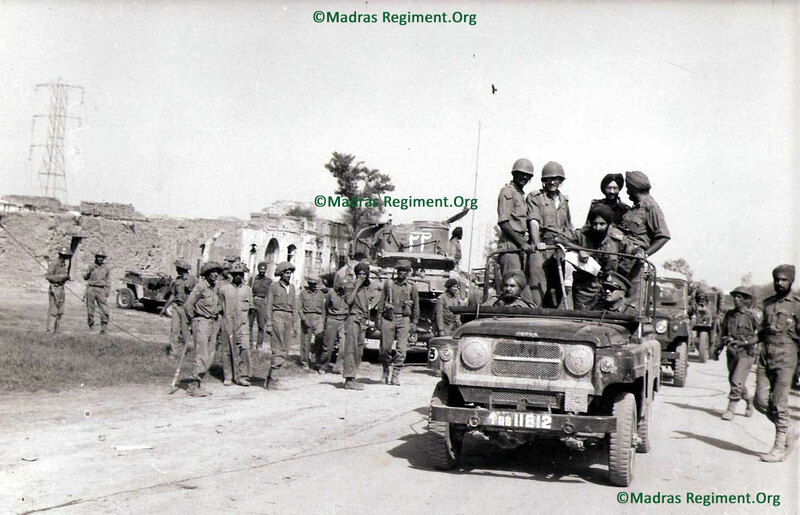 Since the things were moving much quickly than before, so we made Ambala our junction from where the respective battalions or brigades would move on to take up their positions. On the way we were being re-grouped at Petrol pumps, in order to avoid any confusion, as the movement of troops was on a larger scale and was carried out much swiftly. Once again the need of better transport became a hurdle since there were hardly any heavy transport vehicles available during those days. But somehow we were able to reach Ambala as per schedule. 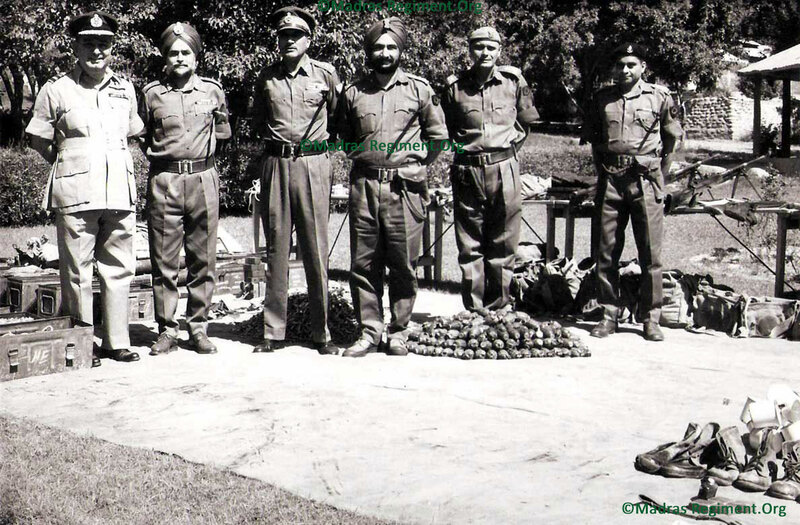 The 69th infantry brigade was instructed to establish their administrative and support base at Pathankot, while the three infantry battalions would move close to the international border. 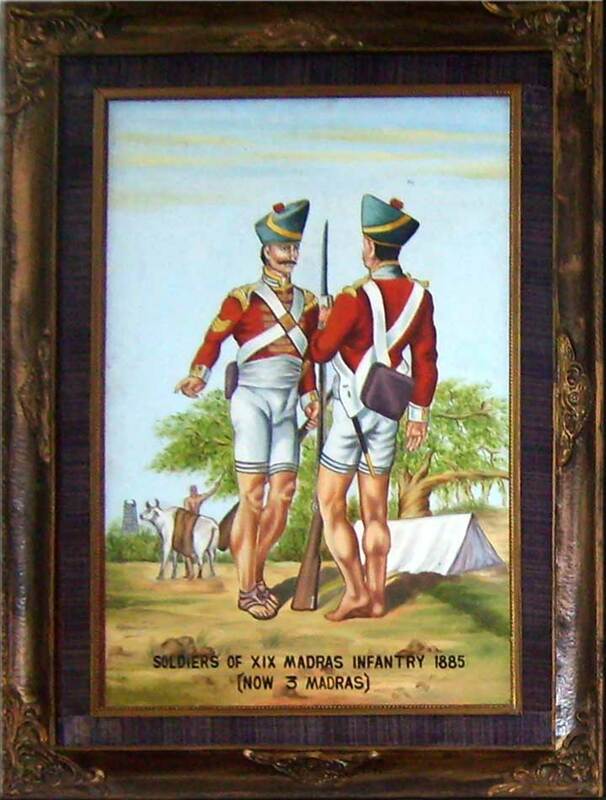 The 3rd Madras battalion was ordered to move towards Sambha and secure it since there were reports of a Pakistani attack on the bridge made on river Chenab at Akhnoor. The moment we reached at Sambha we got the news of Pakistani Air raid on Pathankot in which the heavy baggage of 69th infantry brigade was lost. Listening to this every single person of the battalion was enraged because that baggage which got destroyed in the raid also contained the personal belonging of the soldiers. For next two days our respective company commanders along with the battalion commanders held on briefings after briefings about the strategy to carry out the counter attack in Pakistani Punjab sector. I along with other officers was taken at the forward posts to recce the international border, so that at the time of assault nothing goes wrong.